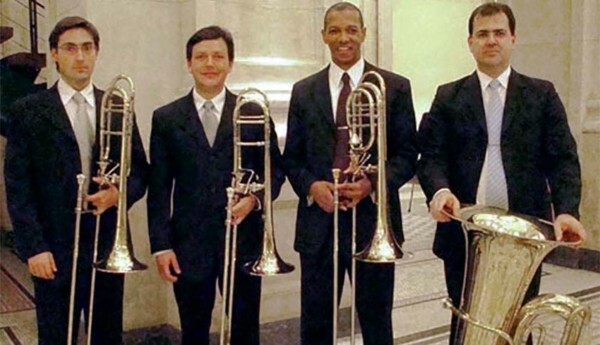 Alex Tartaglia joined the São Paulo State Symphonic Orchestra as Assistant Principal and Second Trombonist in 1996. He is a former member of the Jeunesses Musicales World Orchestra and has toured Europe and Israel with Kurt Masur, Yuri Temirkanov, and Sir Neville Marriner. Alex has won several prizes as a soloist, including the Young Players of Osesp(State São Paulo Symphony Orchestra), Experimental Repertório Orchestra, Weril Instruments Company and Eldorado Prize of Music. In addition, he was a participant at the Alessi Seminar in New York in 2001 and Italy in 2002. His teachers include Luis Claudio Alves and Donizetti Fonseca. He has also participated in several master class and workshops in Brazil Europe and the United States. Alex has appeared as a soloist, recitalist, and clinician for the Edwards Instrument Company at various trombone festivals, brass festivals, schools and universities in Brazil. He has recorded for the Bis and Biscoito Fino labels and toured in South and North America, Europe and Brazil with the São Paulo State Symphony Orchestra. Alex gratefully acknowledges the Joe Alessi for significantly contributing to his musical development.